Digital wallets can help keep your digital currency safe, private and in your control. We highly recommend the use of wallets for storing Zcash (technically, they store the keys to your Zcash addresses). But keep in mind, your wallet is like your bank account, so take extra precautions with your passwords and be sure to perform regular backups to protect your money. DISCLAIMER: Electric Coin Company does not endorse specific digital wallets, other than the Zcash desktop wallet. We provide the information below as a courtesy, in order to simplify the overall digital currency experience for you. 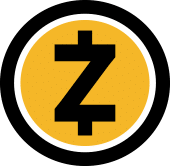 Electric Coin Company maintains the Linux command-line reference client, zcashd, which can be downloaded here. Users looking for a more complete wallet experience are urged to try third-party wallets such as those listed above. Zcash is supported by top exchanges and wallets.